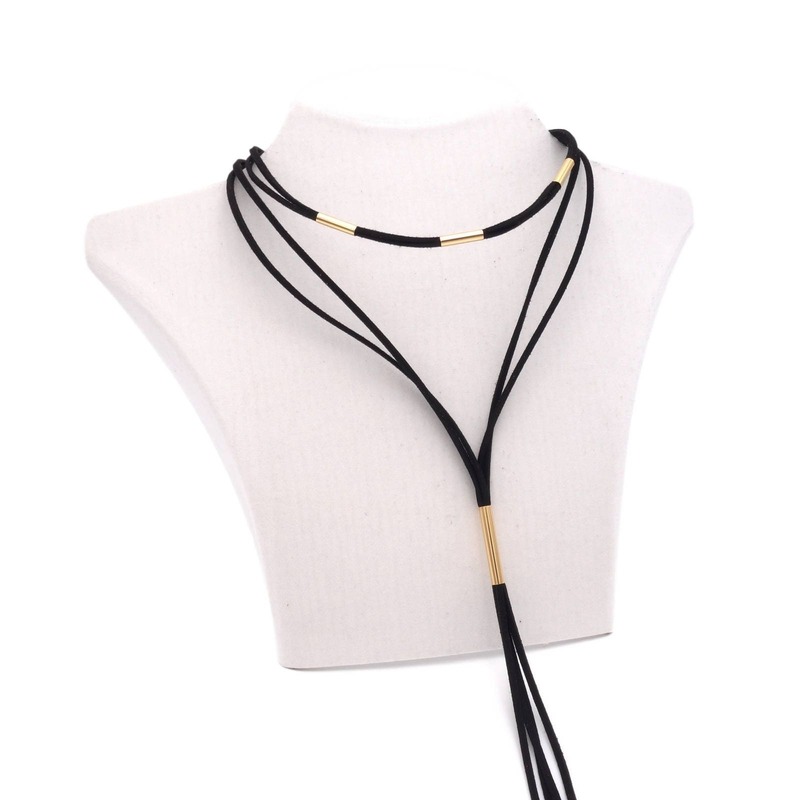 This great Choker necklace consists several necklaces and stylish gold colored elements. 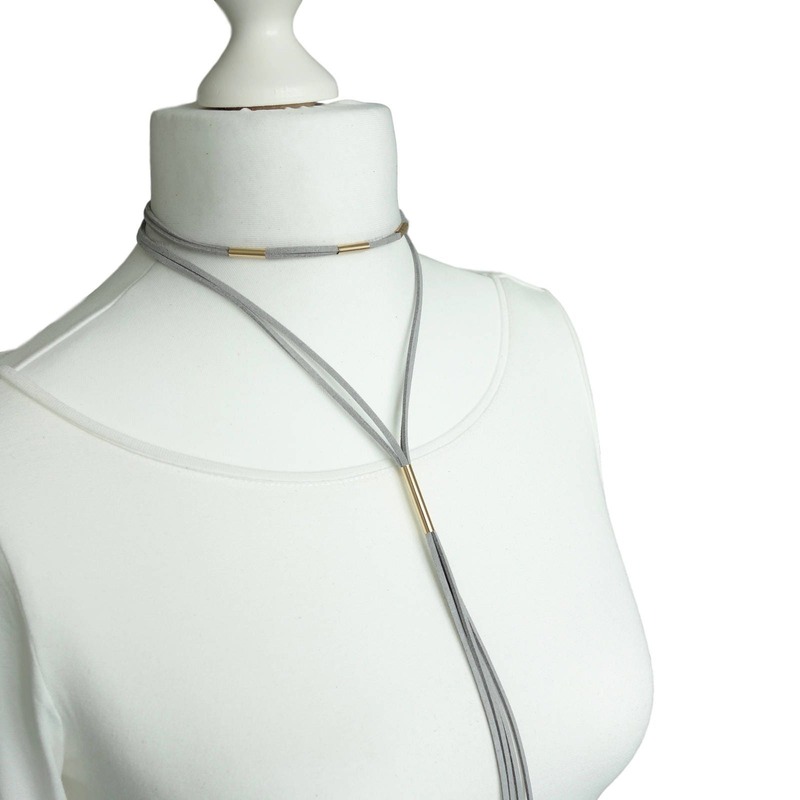 In the Middle, the Choker chains are held together by an adjustable tube. 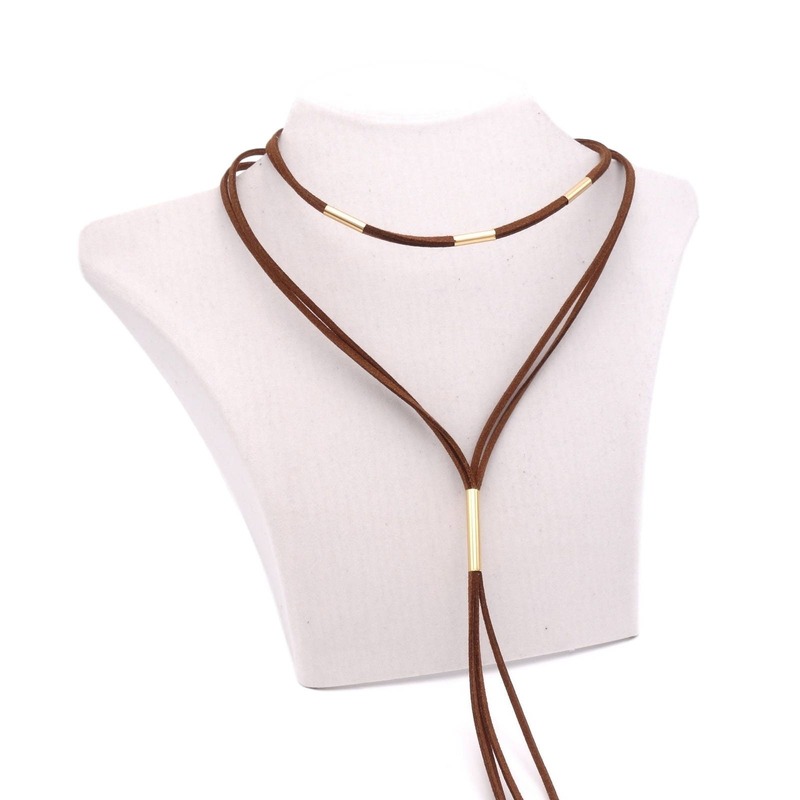 The collar is adjustable in length, so a comfortable wearing is ensured.